If you’re experiencing back pain, many reasons could be responsible. 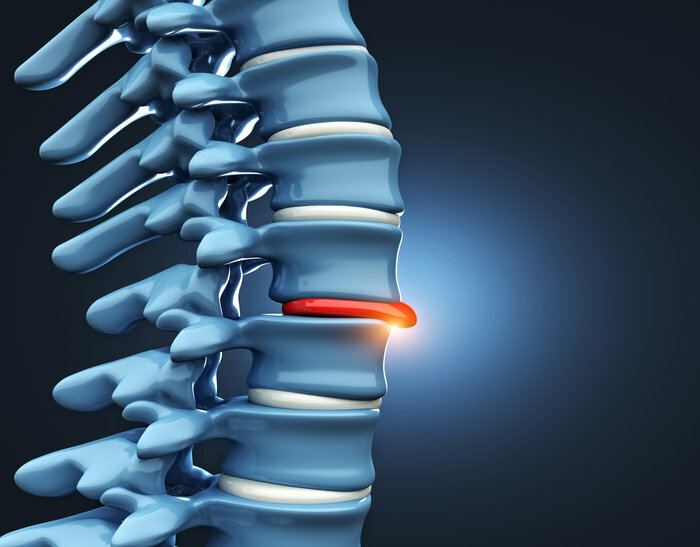 Aside from just old age or injury, if you experience pain that just won’t go away, you might be suffering from a form of a herniated disc syndrome. This condition is something that affects millions of Americans every day, so it’s actually quite common. So what exactly happens in your body with a herniated disc? Many discs in your spine make movement more fluid and easier for you throughout your life. If you perform repetitive motions or have similar injuries in your back, you put yourself at a higher risk for getting a form of herniated disc syndrome. The people with jobs in manual labor or those who have jobs that require similar motions to be repeated over time, like constant lifting or squatting, are those who experience this most often. Other factors like age also affect the likelihood of getting a herniated disc. This is because you’ve used your spinal discs for a long time and eventually, they start to wear down. Excess weight also contributes to this effect. If you believe you suffer from a herniated disc, the first thing you should do is to visit your doctor to get a confirmation. Once you know for sure, you have a few options to alleviate the pain. You could try pain-relief medication, but one of the best ways to stop the pain from a herniated disc is to get help from a chiropractor. Your chiropractor can perform precise adjustments in your spine that removes the pressure off of the misaligned discs. Not only can your chiropractor perform the initial adjustment, but they can help restore balance to other parts of your body through adjustments, as well.